There is not a niche in the world that top 10 lists don’t work for, but in recent years the power of the top 10 list has become a little saturated. You see, everybody is writing them, and it’s becoming increasingly difficult to determine which ones are quality. Still, there is no other format of article with as much social traction. Lists are an excellent way to increase social shares and get potential customers talking about your business. 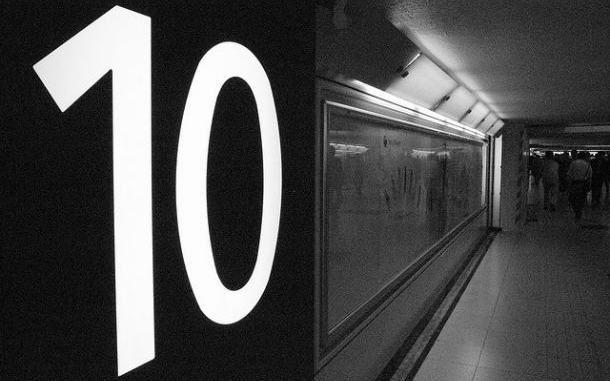 Here’s 10 reasons that top 10 lists work for small business blogs. How many times have you clicked on an article thanks to its snappy headline only to be left frustrated by the lack of good content? Top 10 lists give a promise to the viewer about what they’ll find and this will help to build trust among a blog readership. So long as you always deliver quality top 10 lists, your local business blog will be able to build a community of like-minded viewers. Local businesses thrive on their customers, but many fail to harness their customers’ passion in the online world. Top 10 lists combined with an easy to use commenting form can lead to lots of user-generated content (comments) and lists combined with polls can too (votes). Lists provide your readers with your opinion, and it is only right that the reader should get to share their own. Whether they agree or disagree, every comment is valuable with regard to building a community. Do you have a FAQ page on your website? If you do, chances are it’s full of fantastic information. But does it deliver the information your potential customers are looking for fast? Top 10 lists can be used to rectify this. Top 10 reasons to work with X, 10 killer reasons X is the X service provider for you. Lists do not always have to be aimed at a wider audience. If you have any company or service information you think could be clearer, put it into a list. All content should be scannable online – internet users simply don’t read huge paragraphs of text. Instead, they skim through pages looking for headings and keywords. Top 10 lists are great because they are formatted in this way naturally. Your readers will be able to find the information they want in an instant and lists will give your viewers a pleasant reading experience. Humans like to organise things, and the more organised information is, the easier it is to digest and interact with. Lists are well-organised articles that have all of their information laid out in a pre-determined format. Blog posts need to be as easy on the eye as possible – you only have a few seconds to keep the attention of your viewer. Lists are great at keeping attention as they are simple to read and to scroll through, although some websites ruin this by having users load a new page for each point. Top 10 lists are, in general, easy to churn out for writers. This means that bloggers can keep up with writing for their blog and focus on delivering good content, rather than meeting deadlines. In order to be effective the lists do need to contain quality content, so easy does not equal lazy. There is a huge opportunity to establish expertise with lists. “Have you tried these 10 amazing ways to increase health” is an example of an article that is intriguing and powerful. Use lists to demonstrate your thought leadership and help your viewers out a little. 10 killer tips and 10 stellar tips are prime examples of adjectives at work. These words grab the attention of the reader and drag them into the remainder of a blog post. When these articles get shared, every potential reader will see a catchy and intriguing headline that begs to be clicked. People are only going to share blog posts if they are worthy of it, and that means that the blog posts need to be valuable, evoke emotion, and connect with the viewer. Combine all of the elements above, and you have share worthy pieces of content. This actually works two ways – a bad top 10 list can draw just as much attention, if not more, than a good one. The aim of the game with a top 10 list blog post is to get as many shares as possible and list-based posts have flourished in recent years. Nick runs Smart Local from its base in Wimbledon and writes about local search, social media, the mobile web and other online marketing issues affecting small businesses.